ISLAMABAD: Awami Muslim League (AML) Chairman Sheikh Rasheed Ahmed on Monday said the Pakistan Tehreek-e-Insaf (PTI)-led government would fulfill all promises made with the masses and would come up to their expectations. Talking to reporters at Parliament House after taking the oath, he said the people reposed confidence in the leadership of PTI in the general election and they have more expectation from the new government. Rasheed said the government would take the opposition on board and the process of democracy would be carried forward. All the state institutions would be strengthened and improvement would be brought in it, he said. He said that he had predicted the PTI would win over 100 seats in the general election but some politicians made fun of his statement. “My predication has come true and now the PTI is going to form the government with the support of allied parties,” he said. Rasheed said he was very much grateful to the people of Rawalpindi for voting him. He assured that he would become the voice of the voiceless people of Pindi and would continue his struggle for their welfare and betterment. To a question, he said the Pakistan Peoples Party (PPP) and Pakistan Muslim League-Nawaz (PML-N) could not go side by side as they have different ideologies. Replying another question, he said the people have rejected the politics of Maulana Fazalur Rehman. “Maulana has always used Islam for his own benefits,” Rasheed added. He said he would greet Fazlur Rehman on Independence Day although such people had opposed the creation of Pakistan. “A grand celebration programme, followed by dinner has been chalked out to celebrate the Independence Day at Lal Haveli at night,” AML chief said. 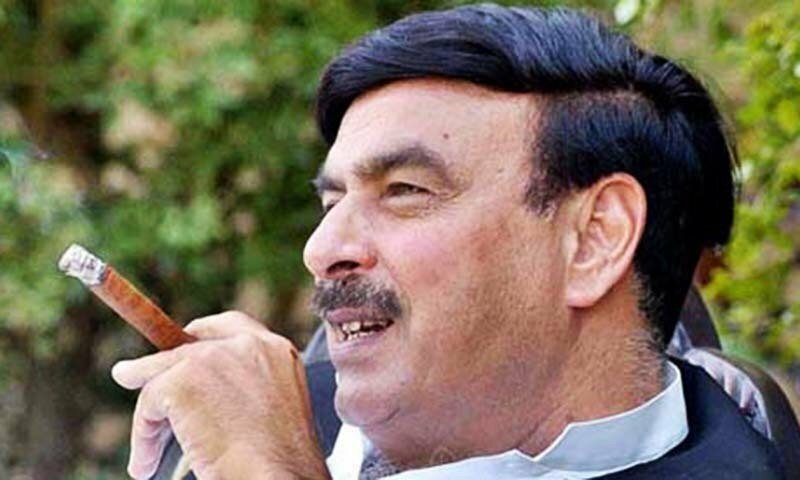 Sheikh Rasheed said that he is a senior politician and would do whatsoever duty assigned to him by Imran Khan.